Or many people use Facebook Connect to log onto websites so they don’t have to create new accounts. Again, this gives that site perpetual permission to read the complete Facebook profile. And Facebook knows quite a bit about you. Not just your relationship status, but also your political leanings, your interests, and much more. All this info is completely available any company you’ve give access to your profile, even if you don’t remember doing so. 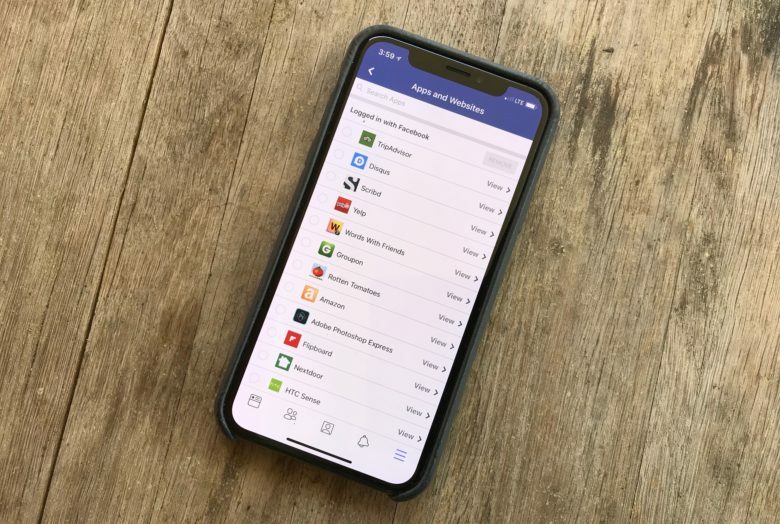 The list of apps that are connected your profile isn’t exactly what many people would call prominent, but it’s available with six or seven taps. All posts made by a company can be deleted too. 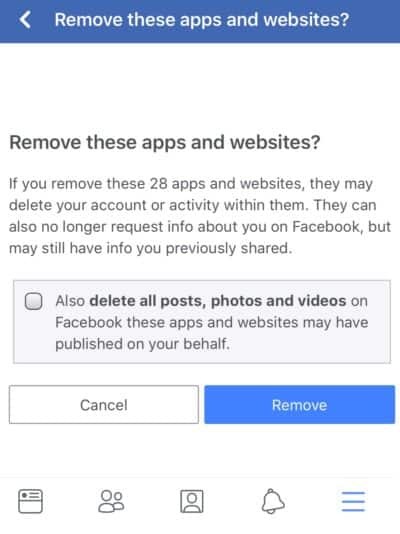 Preventing one of these companies or apps from accessing your Facebook profile is as simple as selecting the button next to the name, then tapping the Remove button. There is no “delete all” button, possibly because Facebook is afraid the good will be accidentally thrown out with the bad. Just be aware that removing access to your Facebook profile now doesn’t delete any of your personal details these companies have already downloaded. It just prevents them from gathering any more. So the next time you start to take a quiz asking which Kardashian would be your frenemy, or consider using Facebook Connect instead of entering your email address and a password, remember that you’re granting some company access to tons of information about you in perpetuity.